Discover the bustling city of Bangkok. Visit the ancient temples of the country. Taste the famous and delicious Thai food. Spend a day with the Elephants. Dive in the turquoise waters of the most beautiful beaches in the world. Sleep in a floating bungalow in the middle of a lake. Travel and sleep in a train on the way to Northern Thailand. Let yourself get fascinated by the Thai Culture, the paradisiacal beaches that hide among the thousands of coconut trees, the Thai cuisine of flavors and the friendliness, hospitality and philosophy of life of the Thai people. Thailand is the symbol of oriental exoticism. A fascinating country with a rich history and culture, a land of golden temples, palaces and legendary ruins. This tour is designed to give you the chance to get to know the most beautiful places in the country … always with a fun and relaxed spirit, as you already know. We will come across with the historical and cultural wealth of the monuments, the idyllic turquoise water islands, tropical jungle, rivers, waterfalls and rice paddies, all in unforgettable 16 days.. Upon arrival, meet the tour leaders João Cajuda or Mariana Vaz and our local guide and private transfer with guide from Bangkok Airport to hotel in Bangkok. Check in and free time at leisure. Group meeting for a brief presentation and to clarify some doubts with the tour leader. Free night. Prepare for a morning of colour, art and passion, as you’re picked up at your hotel in early morning and driven 100 km southwest of Bangkok to the Damnoen Saduak Floating Market in the Ratchaburi province. Harking back to a time when water transport was the primary mode of transportation, the floating market features fresh fruits, flowers, colourful clothing, souvenirs and more along the waterways and on vendor boats. Walk around and check out the many stalls or rent a paddle boat to experience the market from water. Return drive to Bangkok around noon and lunch is at a local restaurant in Bangkok. Afternoon, visit the marvel at the Reclining Buddha statue – as well as over a thousand other Buddha images at Wat Pho temple, one of the largest and oldest temples in Bangkok, also considered the first public library of Thailand. Then visit the Bangkok’s magnificent Royal Grand Palace, the city’s most famous landmark and one of the most beautiful examples of an ancient Thai court. Check out the beautiful palace grounds, home to Thai kings until the turn of the 20th century, and explore the impressive buildings that make up the palace including Wat Phra Kaew, a temple home to the revered Emerald Buddha. The tour wraps up back at your hotel in late afternoon. Please note: Clients should wear long pants, shoes which cover heal, and shirts that cover the upper arm (no vests / singlet). This is to show respect to the Thai people. Discover the historical highlights of Ayutthaya by overland on this day trip to the ancient capital of Thailand. Departing from Bangkok in the morning, you first reach to Wat Yai Chai Mongkol on the eastern banks of the Pa Sak River, a temple said to have been built by King U-Thong as the place for monks returning from Sri Lanka to rest their heads. Next up is Wat Phra Sri Sanphet, a temple that forbids monks to enter (due to its ‘royal’ status), and then on to Wat Lokayasutaram, this temple has another name called Wat Pra Norn. Inside the temple, there is the biggest reclining Buddha in Ayuttaya. This temple was mentioned in the history as one of King Barommakote’s travelling route. The reclining Buddha is a big white Buddha with the length of 42 meters and height of 8 meters. Afternoon, visit Wat Mahathat, a highly-sacred temple famous for its Lord Buddha relics and traditional style once used as a model for other temples in the ancient kingdom. What seems to be the most prominent landmark of the temple is the head of a sandstone Buddha image entwined in the roots of a Bodhi tree. Then short walk to visit Wat Ratchaburana is one of the royal monasteries built in the Ayutthaya era and the eldest temple in the province. According to the Royal Chronicles, it was constructed in 1424 during the reign of Somdet Phra Borommaracha II. Hotel late check out time at 18:00hr (Included in the package prices), short transfer without guide by hotel shuttle vehicle to Ayutthaya Train Station and board an overnight 2nd class sleeper train to Chiang Mai, train #1 depart at 19:45hr and arrival Chiang Mai at 08:15hr on next day. Upon arrival Chiang Mai Train Station at 08:15hr, meet our guide and transfer to your hotel for check in. Note: Hotel check in time at 14:00hr, early check in is subject to rooms available upon arrival. Start your day with a drive from your hotel to Doi Suthep, home of Wat Phra That Doi Suthep – considered the holiest shrine in northern Thailand. Founded under miraculous circumstances in 1386, this spiritual location features a steep flight of 300 stairs flanked by greenery and guarded by a 16th Century Naga serpent carving. You can either brave the climb or opt for a more gentle funicular train adjacent the stair pathway. Atop the mountain, the views from here are nothing short of stunning. Afternoon, bring you around the Old City visiting some of Chiang Mai’s oldest and most fascinating Buddhist sites. First up, visit the majestic Wat Chedi Luang; meaning ‘large temple’ in the old northern dialect. This example of Lanna-Buddhist architecture at its very best – even though time has clearly taken its toll on the ancient structure. Explore intricate carvings and stunning hand-painted murals inside the main temple building while taking in the serene, peaceful atmosphere. Venture on to the second temple, Wat Phra Singh – or Temple of the Lion Buddha – one of the best places to check out classic Lanna art and historical literature. Next, make your way to Chiang Mai’s oldest temple, Wat Chiang Man – a magnificent structure that dates back to the 13th Century – before arriving at your final destination of Wat Suan Dok. Literally translating to ‘flower garden temple’, admire the enormous 500-year-old Bronze Buddha here, before finally make the short drive back to your hotel. Take to the skies with this day out of Chiang Mai and into the jungles of Northern Thailand. Located in a 1500-year-old rainforest next to the quaint village of Mae Kampong, the Flight of the Gibbon is your chance to zipline over the forest canopy – just like the wild monkeys who call this place home. While you might not spot one of the Gibbons, on most days you can hear them, making your flight up to 70 metres above the ground all the more exotic. Chiang Mai’s Flight of the Gibbon has a total of 33 stations with over seven kilometers of cables in total; one of the single ‘flights’ is 800 meters, making it the longest of its type in the whole of Asia. After the forest fun, enjoy a delicious lunch including steamed chicken in banana leaves and black rice followed by tea tasting. On the way back, take some time to stop off at an eco-mountain village, and cool off in a refreshing hillside waterfall before arriving back in Chiang Mai in the afternoon. Experience a fascinating glimpse into the local traditions and life of mountain villagers. See how their work and daily life has remained unchanged for over 100 years. Nestled over 1000 meters above sea level in a lush tropical rain forest, the village thrives on the sustainable collection of spices and medicinal plants, as well as organic farming. See how the villagers use the forest products to make scented and medicinal creams and teas. Learn about their unique uses of fermented teas and see traditional basket weaving firsthand. * Suggested clothes: long pants and T-shirt or polo shirt, sportive shoes or other shoes that will not drop off easily. Enjoy a full day visit to Elephant Nature Park; a natural home and sanctuary for elephants, buffalos, dogs, cats, birds and many other rescued animals. Your visit starts with a picturesque drive through rural countryside to Elephant Nature Park. You will hear the personal stories of rescued and orphaned elephants. See how they became a proud herd and free from abuse for the first time in their lives. Many find their visit to Elephant Nature Park rewarding and very relaxing. Observe free roaming elephants (no riding), and other rescued animals enjoying the natural surroundings of our sanctuary. Your visit helps support our regional projects and offers an invaluable opportunity of helping elephant conservation. Feeding the Elephants. After unloading and distributing fruit treats you will have a chance to feed the elephants from the viewing platform. Lunch: Enjoy a sumptuous and varied buffet of Asian and International dishes. Walk with our staff and the elephants to the river that skirts the park. Bathe these gentle giants as they splash around. If going into the river is not for you then watch the elephants bathe and play while you stay dry on the river bank. Late afternoon and it`s time for goodbyes to the elephants and to Elephant Nature Park before the hour-long drive back to Chiang Mai where you will be dropped off at your accommodations. Upon arrival Surat Thani Airport, meet our guide and transfer to Rhajaprabhar Dam in Khao Sok National Park and board a local long-tail boat to the floating bungalows, free day and dinner at the bungalow. * Bungalows do not have private bathroom, hot water and mosquito net. Free day at leisure until check out time at noon, board a local long-tail boat to the pier and continue transfer by overland to Krabi Province, drop off at Krabi Pier and board a long-tail boat to Railay Bay, check in at your hotel and relax at leisure. Leave behind Krabi and mainland Thailand in search of the enormously-popular Phi Phi Islands. This region around the Andaman Sea is well-known for its fantastic snorkeling opportunities, with crystal clear waters and abundance of marine life, so naturally much of the day will be spent in and around the sea, with snorkel gear provided on board your boat. The morning leg takes you Phi Phi Lay at Loh Sama Bay – a favoured spot by visitors for its good variety of coral and fish. The boat trip then heads on to the delightful Tongsai Bay for a traditional Thai lunch on the beach. Afternoon visits take you to the more lively and commercialized main island of Phi Phi Don – now home to a huge range of hotels, restaurants, shops and nightlife; here you have time to browse the lively town centre or just laze about in the sun on one of the nearby beaches. Back on the boat to start the short journey back, although there’s still time to check out the intimate beach at ‘Bamboo Island’ as well as the unusual Koh Khai – affectionately known as ‘Chicken Island’ thanks to its shape resembling a chicken’s head standing in the middle of the sea. Free day at leisure until check out, board a long-tail boat to Krabi pier and continue transfer to Krabi Airport for your departure flight to your home. • Tour leaders João Cajuda or Mariana Vaz (depending on the chosen date) company during the entire tour. • Domestic flight, as indicated in the itinerary (Chiang Mai – Surat Thani ) in economy class, including 20kg suitcase. • Airport taxes relating to domestic flight in Thailand. ◦ Stay of 02 nights in Bangkok in double or triple with breakfast. ◦ Stay of 01 night in Ayutthaya, double or triple in half board. ◦ Stay of 03 nights in Chiang Mai, in double or triple with breakfast and dinner included. ◦ Stay of 02 nights in Khao Sok National Park, in double or triple, full board. ◦ Stay of 04 nights in Railway in double or triple room with breakfast. • Train connection Ayutthaya / Chiang Mai compartment bed in 2nd class. • Boat crossings as indicated. • Excursions in private bus with air conditioning, according to the itinerary. • Visit the floating market Damnoen Saduak on the outskirts of Bangkok. • Entries in the temples as in the itinerary (13 temples). • Local guide throughout the journey in Thailand. • Meals refered in the itinerary: All breakfasts in hotels; Dinner: 3; Lunch: 4. • Beverages, even in included meals. • Personal extras and things not mentioned above or in the program. • Health insurance (Required – No traveler can start the tour without presenting proof of health insurance for the trip). So that the trip is more affordable to all, certain activities are not included in the tour price. Anyway they are pre-arranged. Those who want to do some of these activities, can book them until the final payment of the Tour. That way in the free days, you can choose what you want to do. Stay on the beach, the hotel pool, go for a walk through the city’s markets, visit temples or do extra activities. You can also book these activities in site, but then it dependes on availability and price changes may happen. Deposit of 30% when booking. Final payment until 60 days before the tour. This trip is for people who like to have fun and make friends, regardless of age. We are sure that if you come with a relaxed mind you’ll have an unforgettable week. It is important to understand that this is an adventure trip, and so, it is always unforeseen. Traveling in Thailand is not like going to the Four Seasons in Paris … the internet can have weak sign or not work, the air conditioning can break, the shower can not come out with so much pressure and hot as in your house, etc. .. also, unfortunately good weather is not guarantee, sometimes it rains, the sea water is stirred and it is important that you know that there may be changes in the itinerary. what it would be a trip without some adventure ?! We will be staying in dorm rooms. If you are traveling alone, you will be paired with another traveler of the same gender. In some cases you may need to share a triple room. If you are traveling as a couple, you’ll get your own private room together. 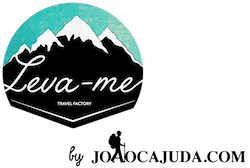 You should buy your flight only after making the payment of the tour and have the confirmation that your reservation in LEVA-ME is completed. No, there are travelers coming from different parts of the world, so the group meeting point will be the hotel in Bangkok. How do we meet in Bangkok? We’ll take the data and flight schedules of all travelers. There is only one transfer from Bangkok airport to the hotel. If you travel in another plane and arrive at the same time or before the majority of the group, you can waitat the airport and we will go all together in this transfer. If you arrive much later to Bangkok, you have to go on your own to the hotel, either by taxi or subway. Of course! I hate tours that book every minute of your day. Our tour will be busy, but there will also be plenty of time to explore on your own! PEOPLE WITH PORTUGUESE AND BRAZILIAN, DO NOT NEED TO GET VISA TO VISIT THAILAND FOR TOURISM. MAY REMAIN IN THE COUNTRY TO 90 DAYS. I recommend travelers to consult a clinic of Medicine of Travel or talk to your doctor 4-8 weeks before departure. Regarding malaria, cities like Bangkok, Chiang Mai, Phuket and Krabi, the risk is minimal or inexistent. The areas that we will visit are currently free of malaria. Anyway, If you want to protect yourself it is better to go talk to a doctor or pharmacist. Dengue outbreaks are increasing in recent years. Travelers should take protective measures against mosquitoes. Long clothing and repellent, especially at dawn, late afternoon and evening. – Typhoid: Recommended to all travelers who wish to eat food (liquid or solid) not in major hotels and restaurants. – Yellow Fever: Required for all travelers from endemic areas for yellow fever (Brazil). Otherwise no indication. Thailand is one of the safest countries for travelers. People are very friendly and kind in general. In any case have the usual care, especially in Bangkok. As many as you want. The maximum of travelers is 28.